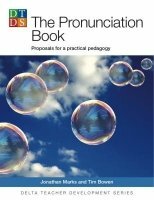 The Book of Pronunciation is a definitive account of the key role pronunciation plays in teaching and learning, providing a highly authoritative but hugely accessible overview of the essential elements of English pronunciation as well as a wide range of classroom practice. The Book of Pronunciation is accompanied by a CD, which provides models for the teacher and practice for the learners. This book is the definitive resource for language teachers: looking for ways to incorporate pronunciation into their teaching wishing to expand their range of pronunciation activities wanting their learners to use language confidently and intelligibly The Book of Pronunciation contains three distinctive parts which focus in turn on theory, practice and development: Part A answers frequently asked questions, reassures teachers on why, when and how teaching pronunciation can be both necessary and beneficial, and gives a comprehensive account of all the elements a successful teacher should know. The CD illustrates the explanations. Part B provides classroom practice through a range of activities spread over six chapters, introducing pronunciation and covering Sounds, Symbols and Spelling, Stress and Connected Speech, Rhythm and Intonation. The CD enhances the procedures. Part C offers more to the teacher who wants more – in the form of quizzes and questionnaires, tasks and checklists – and fascinating further knowledge. For the teacher who wants to go further, The Book of Pronunciation offers the opportunity.